There are ten questions in the mailbag this week. Send all your questions to RABmailbag (at) gmail (dot) com and each week I’ll pick some I can actually answer. Jerome asks: Should we take any stock in the Yankees remaining schedule? Especially at this point in the season? There’s a ton of baseball left but is it an advantage that the Yanks have beaten good teams during this streak and might have a softer remaining schedule compared to the teams they’ll be fighting with for playoff position? Is there a good resource to track remaining schedules across the league? That 70-point difference between opponents played and opponents remaining is tied with the Cubs for the largest in baseball. The Yankees have lots of games remaining with rebuilding teams, and you know what? Rebuilding teams are the teams you want to play later in the season, after they’ve been picked apart at the trade deadline and the players on the roster have had their souls crushed by the constant losing, and just want to get the season over with. Three things are true. One, those wins against the Indians and Astros and Red Sox in May will mean nothing come October. 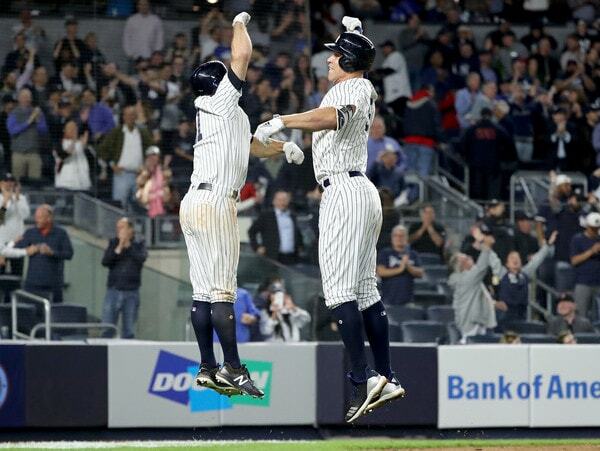 Two, the Yankees have a much easier schedule going forward than what they’ve already played. And three, any team can beat any other team on any given night in this game. Having an easy schedule doesn’t guarantee future success. I sure as heck would rather play bad teams than good teams though. James asks: What’s the likelihood of Cashman trading Luis Medina for a SP this summer? He has a win now team, so he’s probably going to aim for a frontline starter for the playoffs. I imagine Medina has to be high on other teams’ radar. Where does Medina rank on the untouchables list? Behind Torres, Sheffield & Florial? Teams have started targeting ultra-talented teenaged prospects as headliners in trades in recent years. Most notably, the Padres landed then 17-year-old Fernando Tatis Jr. in the James Shields trade a few years ago, and Tatis has since blossomed into one of the top prospects in baseball. The Yankees acquired teenagers Juan Then (Nick Rumbelow trade) and Luis Gil (Jake Cave trade) in recent trades, and while they aren’t as highly regarded as Tatis, the idea is the same. Get the kid young before he breaks out and becomes a top prospect. Medina, who turned 19 last week, has some of the best raw stuff in the minors, and he could be a top 100 prospect within a year. Because he’s so young and so much can wrong before he reaches the big leagues, I imagine Brian Cashman is very willing to part with Medina in a trade to net big league help. Would he trade him for a dude like Shields? I don’t think so. But I could see him as part of a deal for a guy like Michael Fulmer or Chris Archer, for sure. I don’t think you can make any pitcher that young untouchable. Look at Julio Urias. All the talent in the world, but catastrophic injuries happen. As with any other trade, you weigh the risk against the potential reward. Brian asks: Where do the young international signees in the GCL live? Do the Yankees leave 16 year olds to find housing and live on their own? The Yankees were considering building a dormitory at the Tampa complex a few years ago but I don’t think it ever happened. Teams do provide lodging for the rookie ball kids though. They set them up at a hotel or wherever. I know the Staten Island Yankees have (or had once upon a time) an arrangement with Wagner College, and players lived in the dorms during the summer. The Pulaski Yankees stay at the same local hotel year after year. In full season ball though, the players are on their own. (For a promoted or demoted player, the team has to provide lodging at the new level for up to three nights, I believe.) You’ll hear stories about five or six players sharing one house and things like that in full season ball. Gleyber Torres signed for $1.7M back in the day, so he stayed at a hotel in Scranton before being called up this year. Most minor leaguers can’t afford that. Craig asks: Assuming (1) Ellsbury comes off the DL at some point and (2) Gardy, Hicks, Judge and Stanton are all healthy then, won’t the Yankees simply DFA Ellsbury? I just can’t see putting him on the roster over anyone else (Drury, Walker, Andujar, whomever) – the money is a sunk cost now. This is not something worth worrying about right now. Jacoby Ellsbury is still a long ways away from returning to the Yankees, and by time he’s ready to be activated, who knows what the team’s needs will be. Remember when they were starting Jace Peterson and Shane Robinson in the outfield two weeks into the season? Hopefully it doesn’t come to that again, but you never know. The Yankees might need Ellsbury by time he’s ready to return. Hypothetically though, if everyone is healthy and Ellsbury is ready to return, I’d bet on the Yankees squeezing him onto the roster rather than eating all that money and designating him for assignment. Figure Tyler Austin and Miguel Andujar go down when Greg Bird and Brandon Drury return, then once Ellsbury returns, you dump the eighth reliever. It doesn’t have to happen in that order, but those are the three roster spots most likely to change. Andujar’s, Austin’s, and the eighth reliever’s. Teams are more willing to eat bad contracts to cut ties with players these days — the Yankees just did it with Alex Rodriguez two years ago — though Ellsbury still has two full years and $47M remaining on his contract after this season. That’s an awful lot. The Red Sox did release Pablo Sandoval with $50M remaining on his deal though, so it has been done before. I’d bet against Ellsbury being dumped this year, though I’m wrong all the time, so don’t listen to me. Michael asks: Hey Mike, I’ve noticed the Yankees thus far are doing a lot better in 1 run games in 2018 compared to 2017. But I’m wondering if I’m the only one who feels this is a very misleading stat, particularly late in the game when say a closer who enters in a 3-0 game that ends in 3-2. Your team just won a 1 run game but that is in large part to the closer not doing a great job. Would anyone trust the 2016 Yankees to win a one-run game over the 2017 Yankees? Of course not. There’s a lot of noise in one-run games — one play or one call can change everything — and they aren’t a great predictor of future success. Those wins count, they’re in the bank. They are not the indicator of mental toughness and grittiness broadcasters would lead you to believe. They’re coin flip games. Austin asks: With the percentage of offspeed pitches thrown increasing every year, is the classic starter strategy of establishing the fastball the first time through the order dead? For sure. Lots of pitchers these days come out throwing everything right in the very first inning. Starters aren’t in the game long these days, either due to pitch limits or the third time through the order penalty, so there’s not much sense in holding something back for the later innings. Break it all out, gets as many outs as possible, and let the bullpen handle the rest. That’s the mentality for most. There’s no reason to save something for the third time through the lineup because I’m probably not going to face the lineup a third time anyway. Bill asks: They mentioned on the broadcast that Andujar that he uses Castro’s bats. Is that the best player to compare him too as well? Hit tool is obviously extremely high but will never take the step to the next level unless he develops more patience? It is a good comparison offensively. Andujar has more power now than Starlin Castro did at the same age, but they have similar swing happy/contact heavy approaches. The thing with Starlin is that he has 5,000 plate appearances in the show and he hasn’t adjusted his approach at all. His chase rate is 34.7% this year and it’s 33.5% for his career. It’s sat in the 32% to 35% range pretty much his entire career. Castro still has the same approach he had as rookie. The hope is Andujar will improve his approach with experience — that’s always the hope with young hitters — but it’s no guarantee he will. 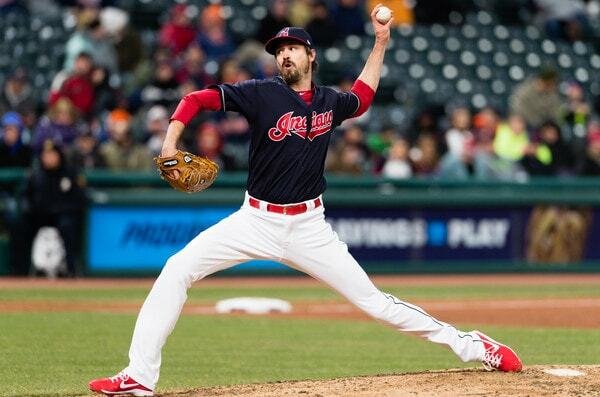 Mark asks: Instead of a starter, if the Indians drop out of contention what would it take to get Andrew Miller at the trade deadline? Any chance of signing Miller and Robertson for 2019, or do you think their age and cost makes it prohibitive? That might be the greatest bullpen of all time. Gosh, the AL Central is so bad. Going into yesterday’s games the Indians were atop the division at 18-18 with a +8 run differential. The other four teams were all at least three games under .500. I think it’s only a matter of time until the Indians snap out of their early season funk and start to run away with the division. They’re still the best and most talented team in the AL Central in my opinion. Now, if they do fall out of the race, I do think the Indians would be willing to trade Miller. They have a very pragmatic front office and they know they could fetch more in a trade than the draft pick they’d get after the season. It’s tough to come up with a trade benchmark here because relievers like Miller don’t get traded often. The Miller and Aroldis Chapman trades two years ago were special cases. Clint Frazier and Justus Sheffield for rental Miller? Might be worth it! I wouldn’t do it though. As for signing Miller and re-signing David Robertson after the season, it could happen, though I would be surprised if the Yankees were cool with carrying three $12M+ relievers on the roster, two of whom will be in their mid-30s. I think it’d be one or the other, Miller or Robertson. Or maybe the Yankees pass on both and sign someone like Adam Ottavino in an effort to find the next Andrew Miller (the hot new reliever everyone wants) rather than old Andrew Miller. Matt asks: If the two wild card teams are tied with the same record and the end of the season, would they play a 1 game playoff to determine who has home field advantage for their most important game of the year? And if so what stadium would the game be played at? Or would home field go automatically to the team with the better head-to-head or divisional record? Head-to-head winning percentage during the regular season. Higher winning percentage in intradivision games. Higher winning percentage in intraleague games. Higher winning percentage in the last half of intraleague games. Higher winning percentage in the last half plus one intraleague game, provided that such additional game was not between the two tied clubs. Continue to go back one intraleague game at a time until the tie has been broken. We’re going to get a crazy three-team or four-team tiebreaker situation one of these years. Or at least I hope we do. I am all for maximum chaos. Andrew asks: Mike, given the 20th anniversary of the 1998 team and how well the Yankees have played of late, here’s a fun one: how many of the current Yankee starters (both everyday players and starting pitchers) would you play over their 1998 positional counterparts? Tough calls at catcher and right field. Catcher’s a toss up, really. Posada hit .268/.350/.475 in 1998 and that seems totally doable for Sanchez. He could hit for even more power than that, really, plus he’s a better thrower and framer than Jorge was. O’Neill was great in 1998 (.317/.372/.510) but Judge is on another level. I think Gleyber can beat Knoblauch’s .265/.361/.405 line this season. So, after all that, I have five 2018 Yankees (Sanchez, Torres, Gardner, Judge, Stanton) and four 1998 Yankees (Martinez, Jeter, Brosius, Bernie) on the position player side. I’d sign up for Severino having Pettitte’s career in a heartbeat, but Andy had a 4.24 ERA (4.28 FIP) in 1998, and I absolutely believe Severino can beat that this year. He might beat it by two runs! Everything else is pretty straightforward, I think. As for the closer, give me Mariano Rivera over Chapman, no questions asked, even with Chapman being so good this year. Mo over all.